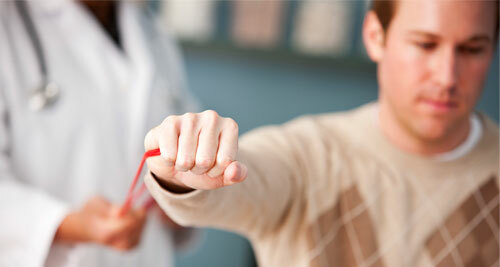 At Physical Therapy Works, our physical therapists specialize in orthopedic and neurological conditions. With the use of manual therapy and exercise programs specialized to the individual’s condition, our goal is to produce results for healing, decrease pain and improve overall function. We offer complete physical therapy services for total body wellness. When you come to Physical Therapy Works Omaha, we do more than just send you home with exercises. We work with you one-on-one in our clinic to help you get the results you want faster. Don Ostdiek provides individualized, one-on-one care to each patient. Come start experiencing the difference with a manual therapy expert. Call us today at 402-614-8042. Don Ostdiek is renowned in the Omaha area as a Manual Therapy Expert. In fact, when therapists need manual therapy to feel better and perform at their peak, they turn to Don. With over 1,000 hours of continuing education, he is recognized by his peers and patients as an expert in Manual Therapy. He is also a Board Certified Clinical Specialist in Orthopedic Physical Therapy. Don offers the most highly qualified, cutting-edge physical therapy in the Omaha area. He is an expert in manual therapy treatments. Don and his staff of certified and expertly trained professionals are focused completely on helping you achieve success. He is also a Board Certified Clinical Specialist in Orthopedic Physical Therapy. Headaches, neck and shoulder pain can be a thing of the past. When you don’t feel good, it is hard to make it through the day and perform at your best. Don Ostdiek is a manual therapy expert and can help you feel better. Call us today to start your way to pain-free living.